Does anyone else think they might have a box set binge problem? Let’s say you are exploring the export potential for a local beer, finding out which country drinks the most beer per capita is probably a good place to start. Or maybe you’ve designed some beautiful new handbags and you want to find out which country’s women have the highest annual disposable income? Have you ever wondered if you are alone in your box set binge habits? Well good quality market research is what you need. 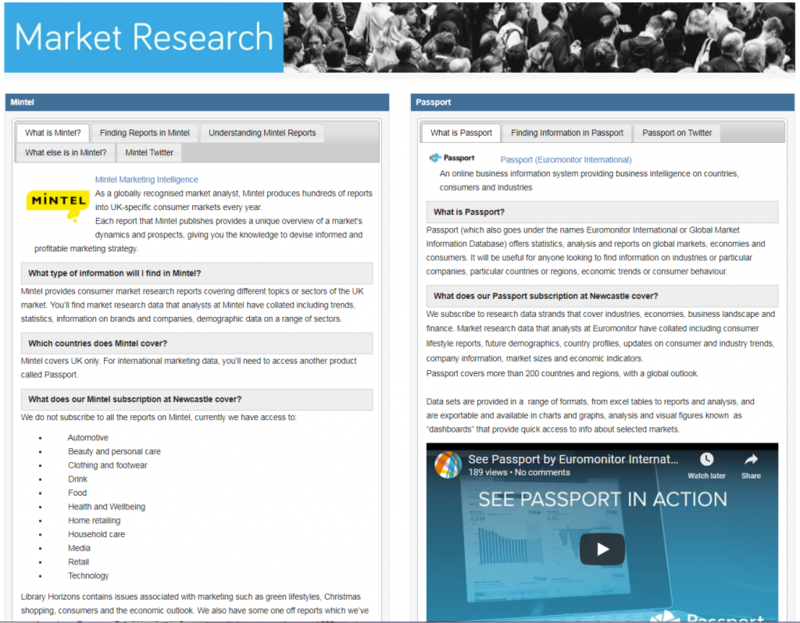 The Market Research guide introduces the two main sources we have available via the library, Mintel and Passport. 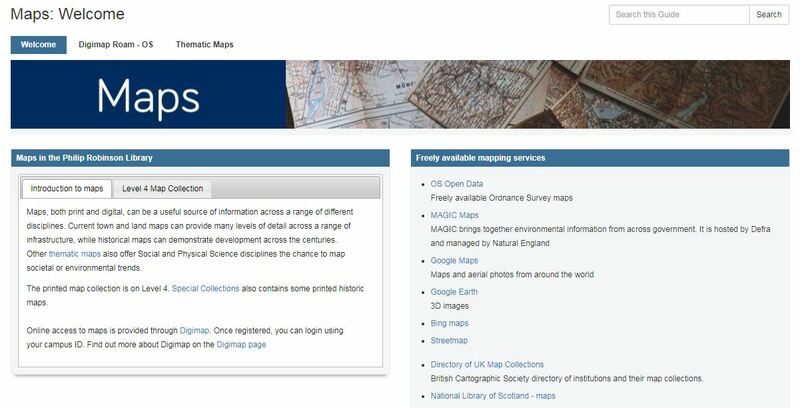 The guide introduces each resource, giving you an overview of what you’ll find there, how best to find the information you need and links to lots of useful help, advice and tips. You’ll also find market research, industry and country profiles in Business Source Complete and Nexis so it’s always worth checking multiple sources. Want to know more about Mintel and Passport? View our quick introductions on SlideShare. Posted on 26th February 2018 Author Emily dottCategories ResourcesTags Agribusiness and Food Marketing, BusinessLeave a comment on Does anyone else think they might have a box set binge problem? 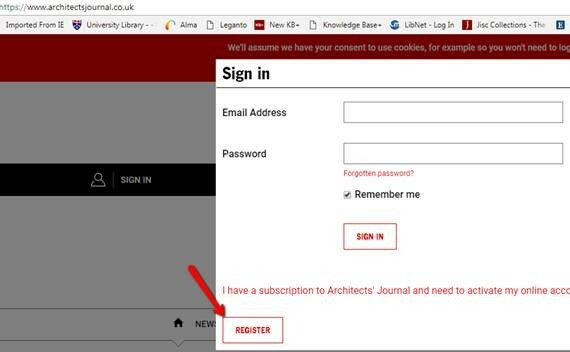 Architects’ Journal is a key journal article for the School of Architecture, Planning and Landscape. We also provide access to a resource called the “AJ Buildings Library”. 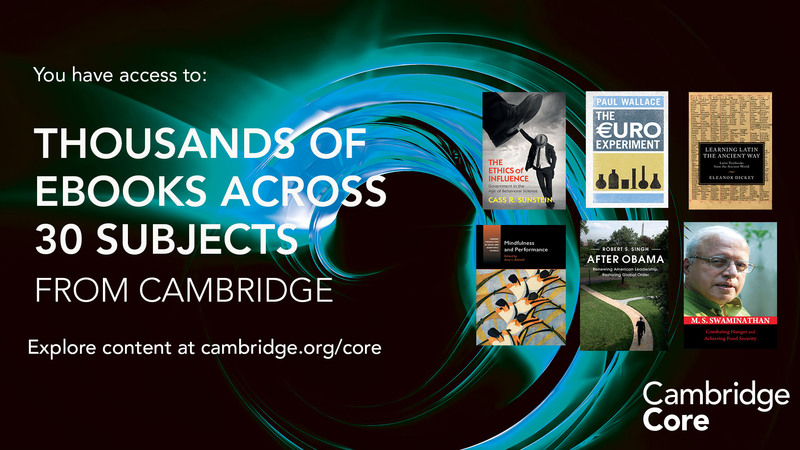 The AJ Buildings Library is a digital database that showcases more than 1,900 exemplar projects, most from the last 20 years but including major projects back to 1900. You can search for projects by age, cost, architect, building type, footprint, location, and a combination of these. Each project featured in this digital database includes full project data (more than 20 items of information) and comprehensive architectural photographs and drawings (plans, elevation, section) – all provided at high resolution. However you will need to register with the AJ before you can access this platform. Access https://www.architectsjournal.co.uk/ and click on the Sign in link. Then click on the Register button, and fill in the form that appears. Since you are from an educational institution where the form asks for annual purchasing budget, choose “None”. Use your Newcastle email address and create a password. You should receive an email indicating you have registered. Click Sign in and use the details from the AJ to access AJ Buildings Library. Ever wondered what Lord Alan Sugar does in his spare time? Each resource covers slightly different information so for most assignments you’ll need to gather data and evidence from multiple sources. 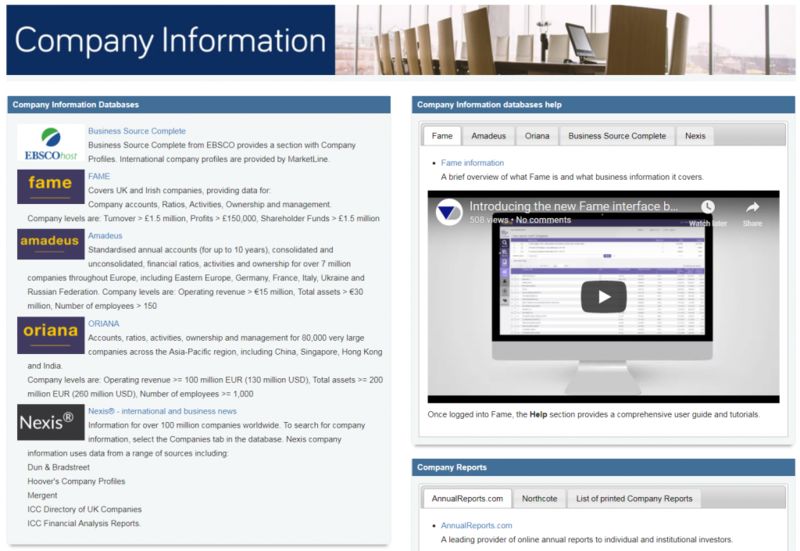 The Company Information guide includes an introduction to what you’ll find in each of the resources linked there, help and guidance. So if you have every wondered what percentage of the confectionery market in the United Kingdom is chocolate, how many employees Primark has or which supermarket made the biggest profit in 2017, the Company Information guide will point you in the right direction. Posted on 23rd February 2018 20th February 2018 Author Emily dottCategories Resources, UncategorisedTags Agribusiness and Food Marketing, BusinessLeave a comment on Ever wondered what Lord Alan Sugar does in his spare time? The Library has trial access to two new digitised archives from Adam Matthew. A unique archive of almost every play submitted for licence between 1737 and 1824, plus hundreds of documents which provide social context for the plays, such as letters and diaries. It also features searchable information on actors and performances from the time. Both trials end on March 12th 2018. Please explore and email us your feedback. NB If you are off-campus, please log in to RAS first of all, and then within RAS, access this blogpost and the links. The Library has trial access to Rock’s Back Pages. Rock’s Back Pages is an online archive of music journalism, containing over 35,000 articles from the 1950s to the present, including reviews, interviews, letters and features, plus some audio interviews. It covers a wide range of artists and genres, from Aaliyah to ZZ Top! Please explore it and send us your feedback. The trial ends on March 31st 2018. NB If you are off-campus, please log in to RAS first of all, and then within RAS, access this blogpost and the trial link.